Democratic Florida Rep. Debbie Wasserman Schultz claimed on Monday that Broward County Elections Supervisor Brenda Snipes has “followed the law,” despite a ruling from a circuit judge that reaches the exact opposite conclusion. “[There’s] no evidence of anything that has gone wrong. The process is simply working. The deadlines have been met,” the congresswoman claimed. 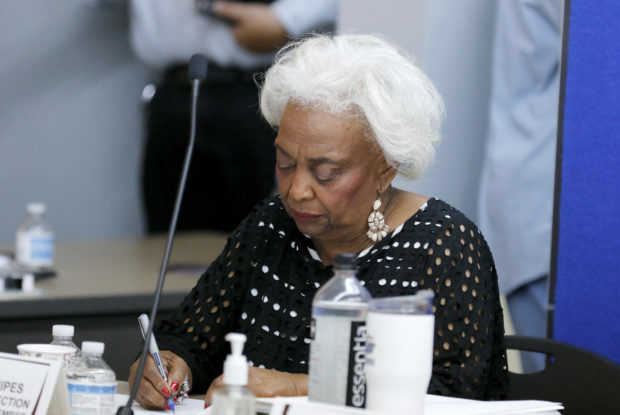 However, a circuit court judge ruled this past Friday that Snipes did violate Florida public records law by not providing requested election information to Florida Governor Rick Scott, who is running for Senate. Circuit Judge Carol-Lisa Phillips found that Snipes’ failure to provide that information to Scott’s campaign was a violation of Florida law, the Miami Herald reported. The information “should be a matter of record at this time and immediately available,” Judge Phillips held, ordering Snipes to release the information by 7 pm Friday. As far as Wasserman Schultz’s claim that there is “no evidence of anything that has gone wrong,” the Herald also reported that Snipes had “accidentally” mixed approved provisional ballots with unapproved provisional ballots. “There are at least 20 illegal votes mixed into an anonymous pile of 205 [provisional ballots], all sitting in a machine that counted them but did not add them to the final count,” the Herald said last week. Florida is currently conducting a recount in the Senate race between Republican Rick Scott and Democratic incumbent Bill Nelson. Scott was initially projected to win the race, however, his margin of victory is small enough to trigger a recount via Florida election law.